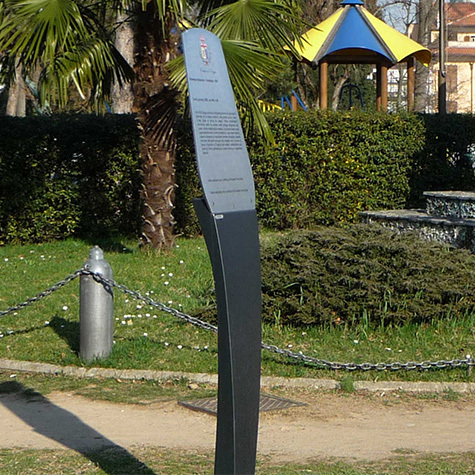 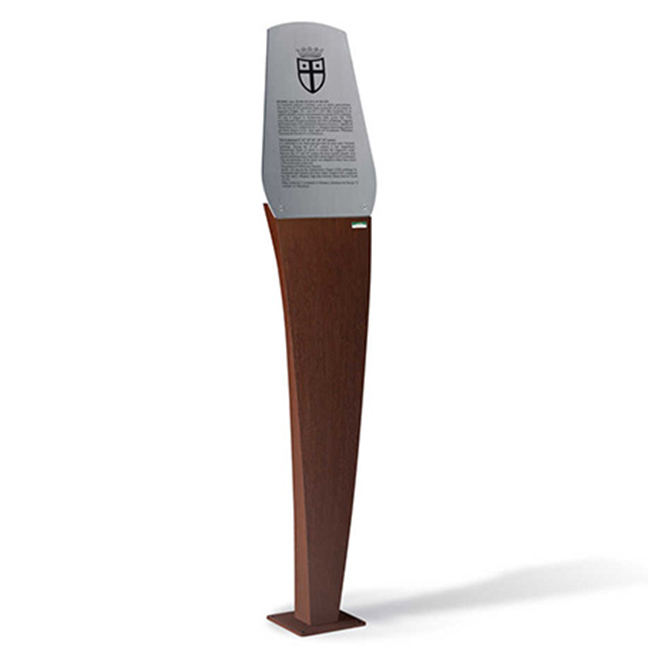 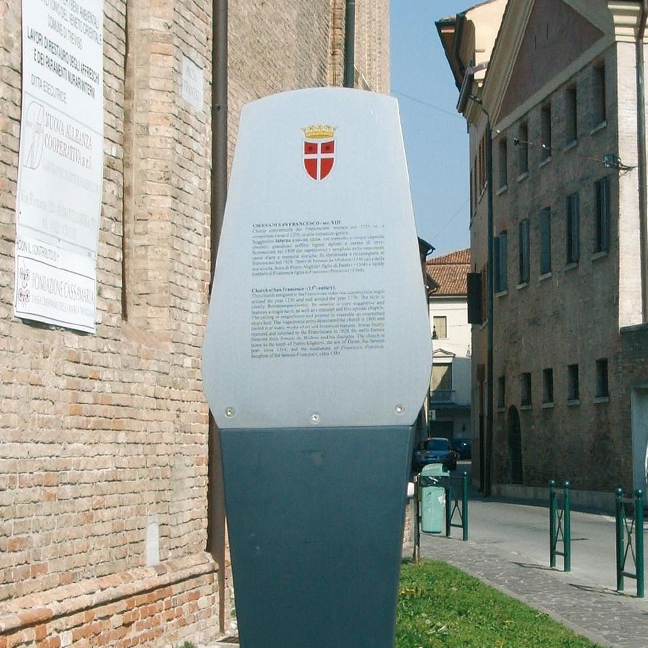 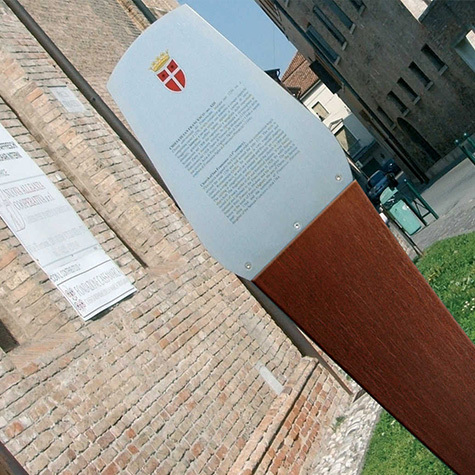 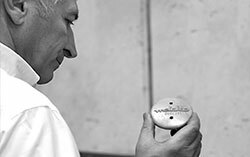 The Athos Information Panel is made up of a corten sheet steel support, constructed from a 2mm and 4mm thick curved profile with a 250x250mm base plate, and an 8mm thick, shaped, brushed AISI304L stainless steel panel which is fixed to the support with flat headed, countersunk screws. 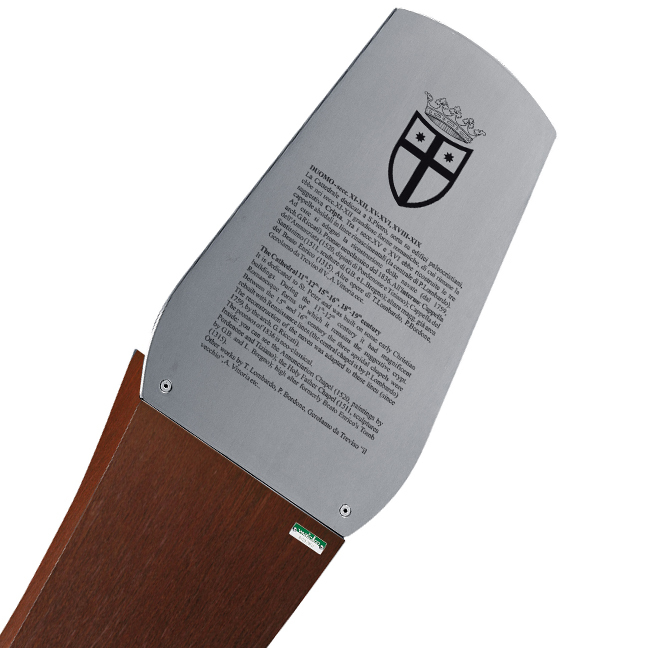 On request the panel can be supplied with serigraphic text and logos/crests. 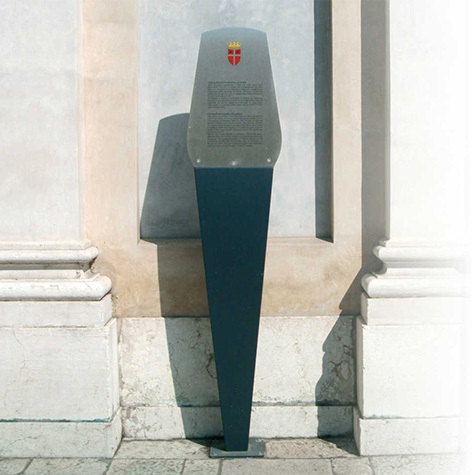 The Athos is also available in galvanised and polyester powder coated sheet steel support, constructed from a 2mm and 5mm thick curved profile.